Posted April 28, 2015 by Sage & filed under Teaching, Training and Racing, Yoga. I spent a fun weekend with the good people of central Ohio at Go Yoga in Powell. 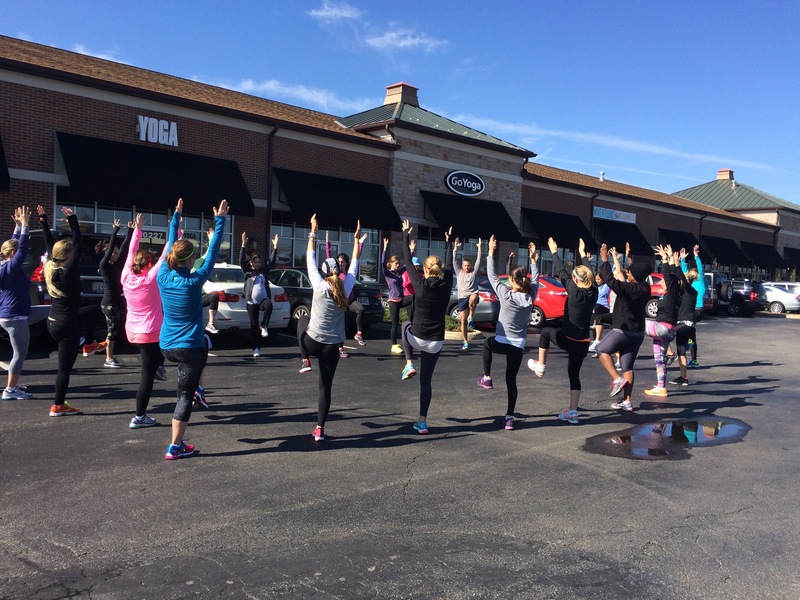 A highlight was the chance to do Parking Lot Yoga in the actual parking lot, as part of the Yoga and Running session! As promised, here are my practice notes. They link to routines in Everyday Yoga, which will be out late May/early June! I’d love to send you a signed copy—preorder here. Thanks, everyone, for your presence and attention! I hope to connect with you again soon. Thanks for sharing – looking forward to the new book!